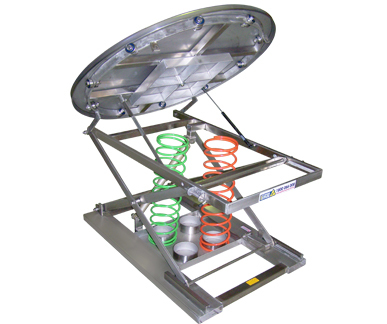 Optimum's Pal-Evator® pallet elevators are designed to eliminate bending when loading or unloading palletized goods. 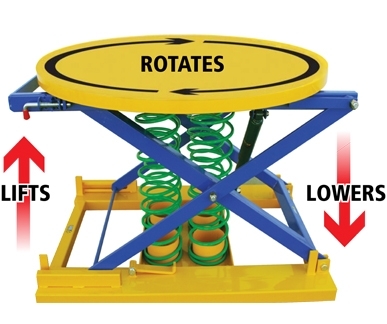 Pallet Elevators keep the working area at the required height. To avoid reaching and stretching the load can be rotated. 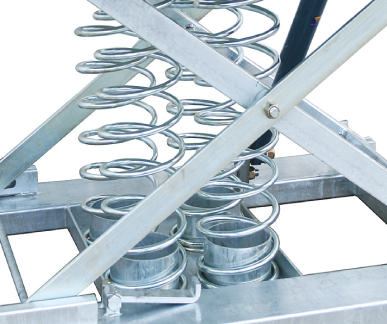 The load capacity is adjusted by varying the number of springs and the capacity of spring strength. 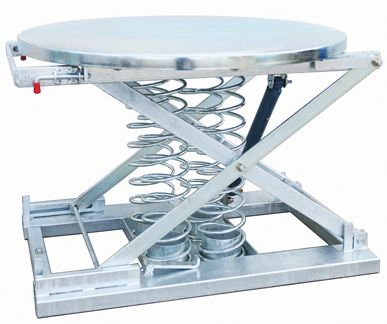 Optimum's Pal-Evator® hot dip galvanised pallet elevators are designed to eliminate bending when loading or unloading palletized goods. 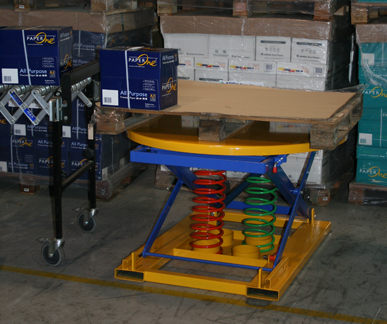 Pallet elevators keep the working area at the required height. 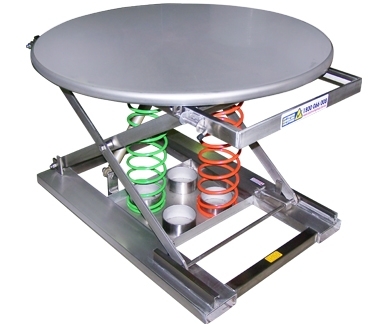 To avoid reaching and stretching the load can be rotated. 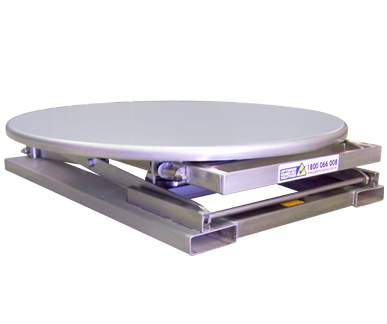 Optimum's Pal-Evator® stainless steel pallet elevators are designed to eliminate bending when loading or unloading palletized goods. 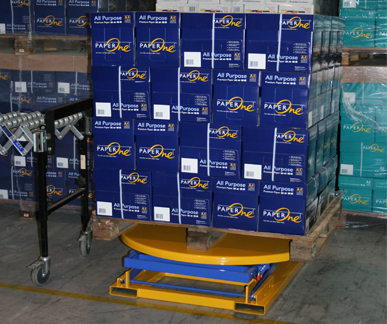 Pallet Elevators keep the working area at the required height. To avoid reaching and stretching the load can be rotated.